With HospitalityVision's BnB ToGo app, guests can order a custom pillow before they arrive. Guests at the Fernwood Circle Guest Houses can use their BnB ToGo mobile concierge app to request a special pillow even before they arrive using their in-app messaging system “Pillow Talk,” created by local hospitality tech company HospitalityVision and women tech company President Marti Staprans Barlow. Marti explains, “In this competitive BnB and hotel booking environment, a property has to offer something unique and different. Guests love a good, comfy pillow and expect a good night’s sleep, so why not let them choose their own pillow? Guests arrive and their custom pillow is waiting with a card describing the pillow. Hospitality is all about improving the guest experience and going that extra step for your guest and actually accommodating different types of sleepers. Owner Marti, a breast cancer survivor, learned to appreciate her pillow as she was going through treatment. Guests also use the BnB ToGo app to discover BnB amenities, house rules, book a spa, locate local restaurants and shops, make dinner reservations, find local hiking and biking trails, buy tickets to attractions, find their way around Oregon State University, order room service at their BnB, get a Welcome from the Mayor, and even send a free virtual postcard showcasing Corvallis. HospitalityVision first created the app ConciergeToGo for hotels to allow hotel guests “to take the directory out of the room.™” HospitalityVision provides hotels with guest directories on each room’s TV nationwide, eliminating the need for the print directory. HospitalityVision can install an in room Welcome channel or create a custom mobile app for your hotel or BnB. 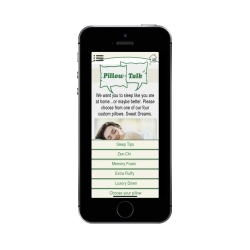 Pillow Talk is a registered trademark of HospitalityVision. 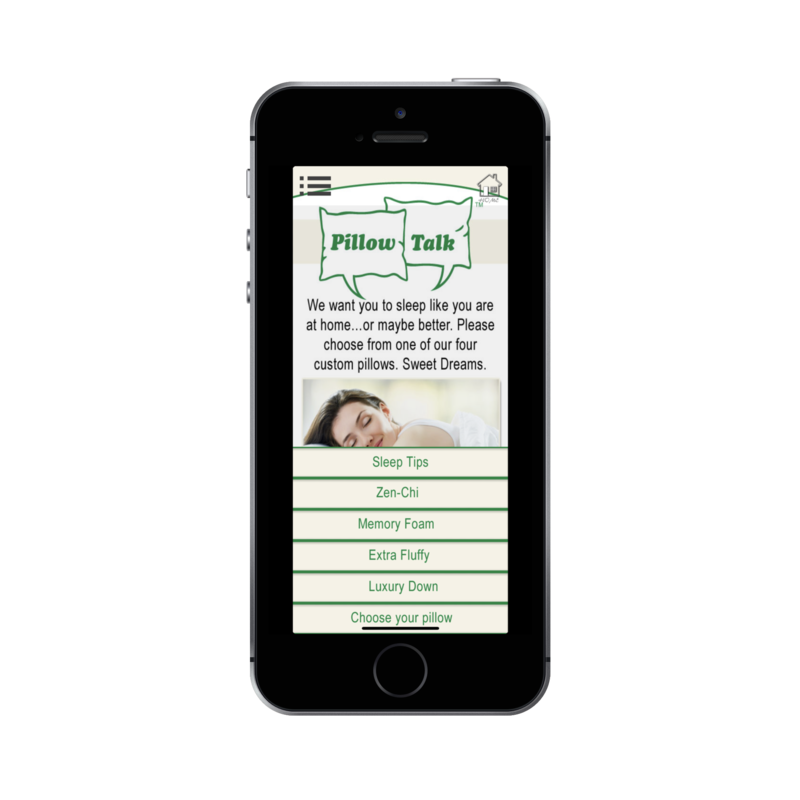 Find more about Pillow Talk™ at hospitalityvision.net or watch video here.